CONNECT by joining exciting shore activities! Like the Celebrating Singapore Shores facebook page for the latest updates. Find an activity that suits your schedule and interest. 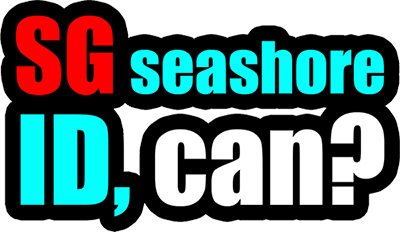 Here are activities organised all year round on many shores and offshore islands. Check out the links for latest updates from the organisers. During low tide at Big Sisters Islands, join intertidal walks led by volunteer guides. More details by NParks. See also the Sisters Islands Marine Park blog and facebook group. Kids getting up close with marine life during a guided walk. 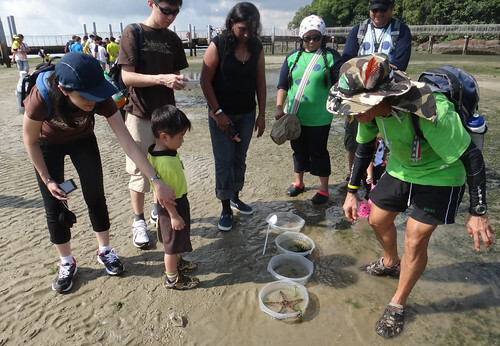 During low tide at Chek Jawa, join intertidal walks led by volunteer guides. More details by NParks. Amazing creatures of Chek Jawa! 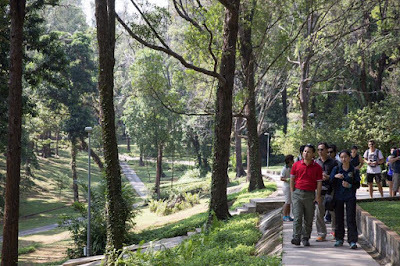 Every first Sunday, join this 2.8km walk by volunteer guides of the forest and high shores of the island. With a stop at the Marine Park Public Gallery. You can also explore St John’s Island on your own by downloading the DIY trail e-guide or grab a copy of the DIY trail guide at the Marine Park Public Gallery. More details by NParks. Enjoy an educational stroll at St. John's Island. 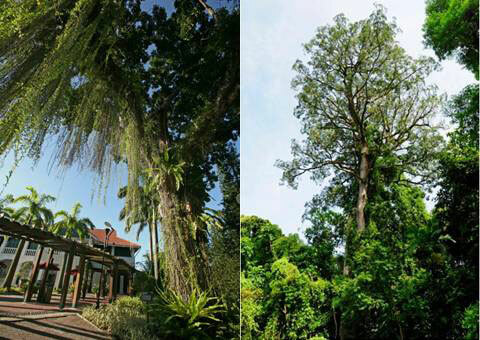 Every last Saturday, specially for families, learn more about the 25 carefully conserved heritage trees at Sentosa. More details by Sentosa. Discover the heritage trees on Sentosa island. 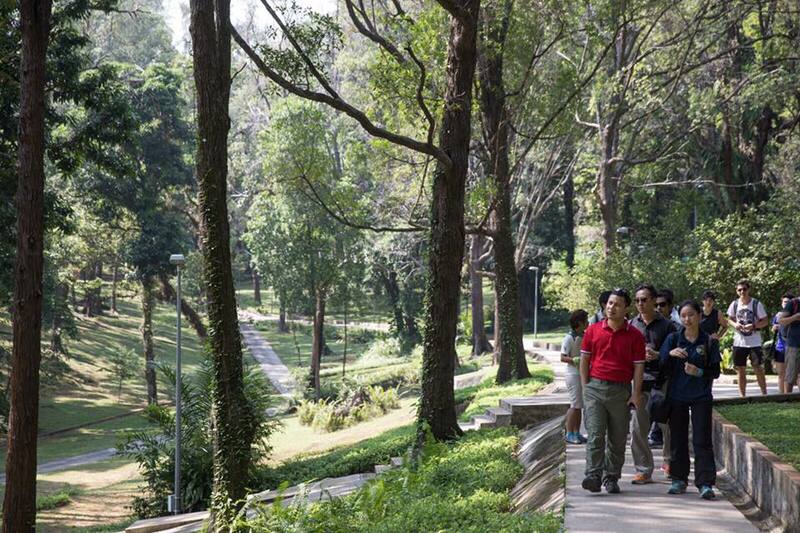 Every Saturday, join walks by volunteer guides focusing on different themes each week. From birdwatching to learning about mangroves and mangrove dwellers. More details by NParks. Wonderful birds and marine life at Sungei Buloh. Every month, specially for families and kids, join a boardwalk tour by volunteer guides. There's lots to see even if the tide is not low. More details by the Naked Hermit Crabs. Fun for the family at Chek Jawa boardwalk. Every month, join a unique and educational dive experience in our very own reefs by volunteer dive guides. More details by The Hantu Blog. 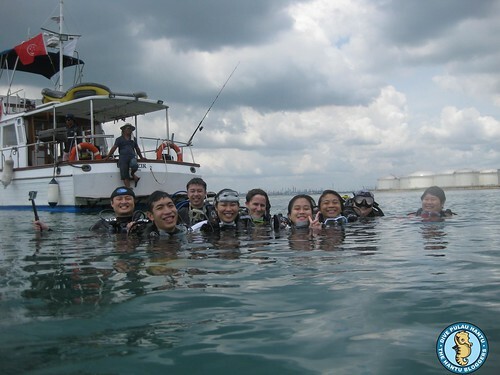 Dive to see the awesome underwater life at Pulau Hantu. 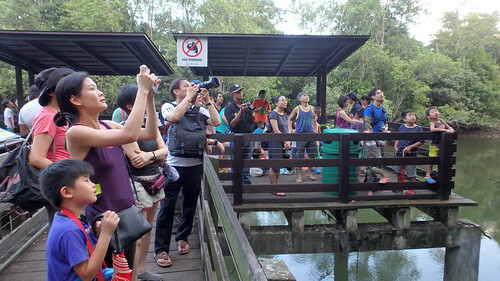 During school holidays, specially for families and kids, join a tour by volunteer guides at this boardwalk just minutes from Pasir Ris MRT. More details by the Naked Hermit Crabs. 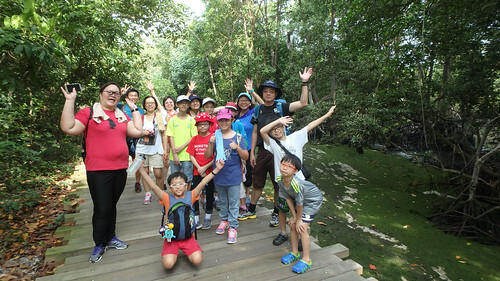 Family fun at Pasir Ris mangrove boardwalk. 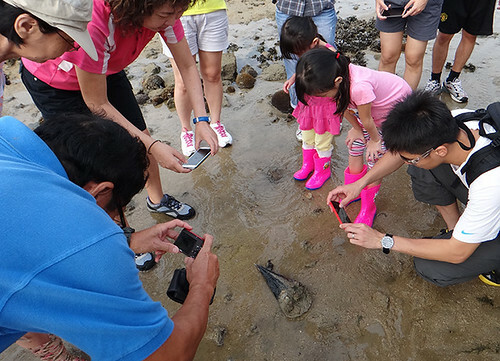 On wildsingapore happenings: MORE latest activities for kids and the family on the seashores and Singapore islands. Need help to identify a sea creature you saw on Singapore shores? CAN! Just post your photo to this facebook group!